A sport of H. 'Flamboyant', this cultivar was registered by Eldren Minks of Minnesota in 1983. The medium size, 14 inch high mound spreads to a width of 27 inches. 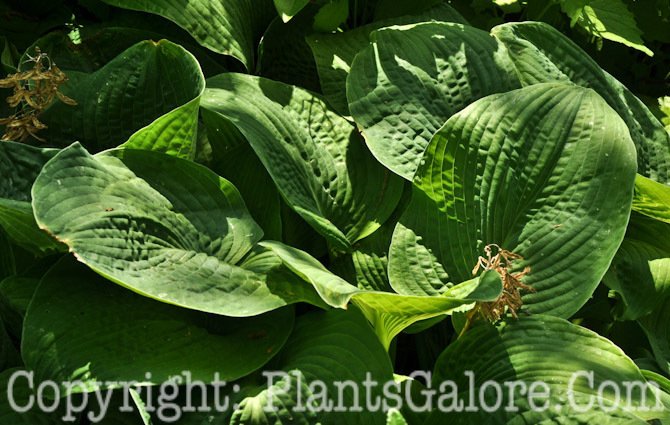 Its foliage is highly variable and highly streaked with an ovate shape. The leaves are slightly wavy, moderately corrugated with average substance and bloom on the underside. It bears lavender flowers in July. According to The Hostapedia by Mark Zilis (2009), "...the leaf color as "anything but a stable color". Over the last twenty years, I've seen just about every variegated leaf form in specimens of 'Renaissance' including completely streaked, streaked in the center with a green margin, dark green in the center with a creamy yellow margin, and white-centered with a dark green margin."